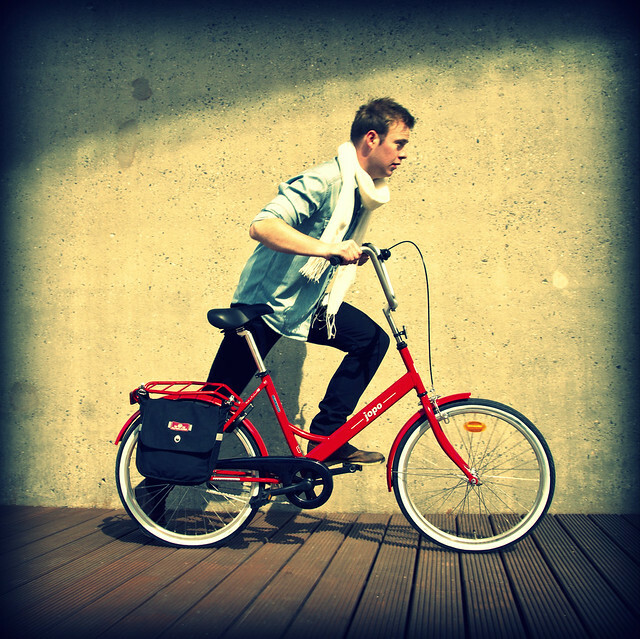 Earlier this year Cycle Chic did a photo shoot for the iconic, Finnish bicycle brand, Jopo. 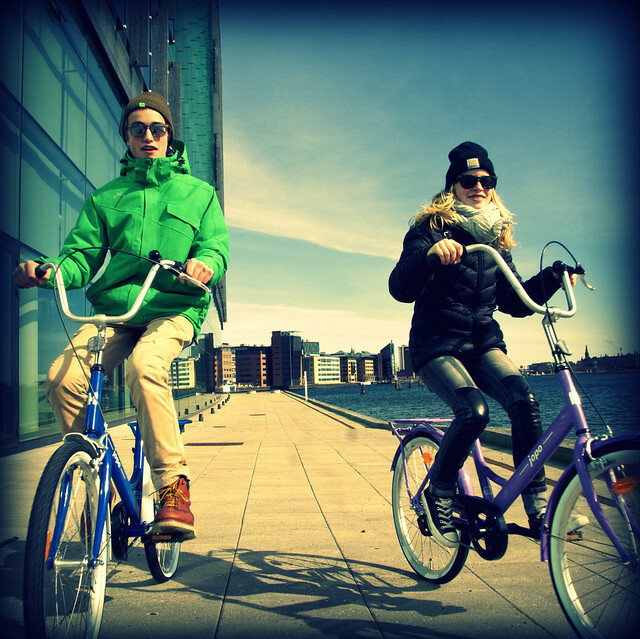 Jopo is moving into the Danish market and we had a brilliant day on the Copenhagen harbourfront shooting the bicycles in action. It was a blustery day on the harbour, but the sun was shining so all went well. In a Nordic country everything is fine when the sun is bright, regardless of the season. We also launched our "Chic and Ye Shall Find" concept in association with Jopo. 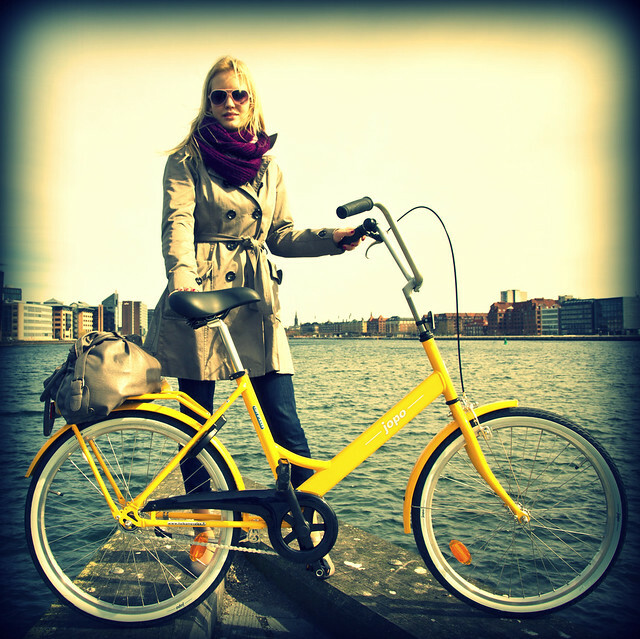 We gave away four bicycles to Copenhageners. We locked one bicycle a week somewhere in the city and gave out clues on the Jopo Denmark facebook group, publishing the combination to the lock. Whoever found the bicycle first got to unlock it and ride it home. 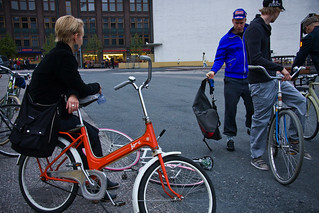 On the left a vintage Jopo at our Cycle Chic photo shoot in Helsinki. 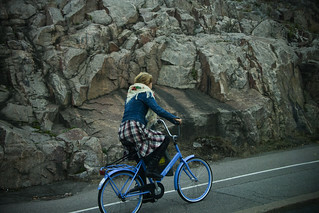 At right, a Jopo on a hill climb in Helsinki. 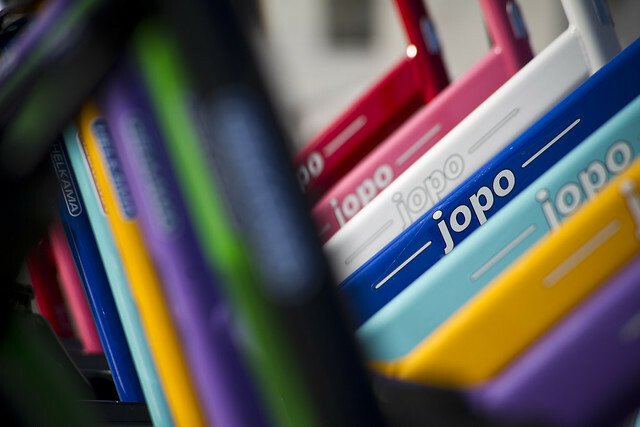 The Jopo never went away in Finland. Now the rest of the world gets to get in on the action.